When considering the alternatives one has to tobacco cigarettes, it sometimes occurs that the words “vaporizers” and “e-cigarettes” are used interchangeably. In actual fact, there are vast differences between the two. 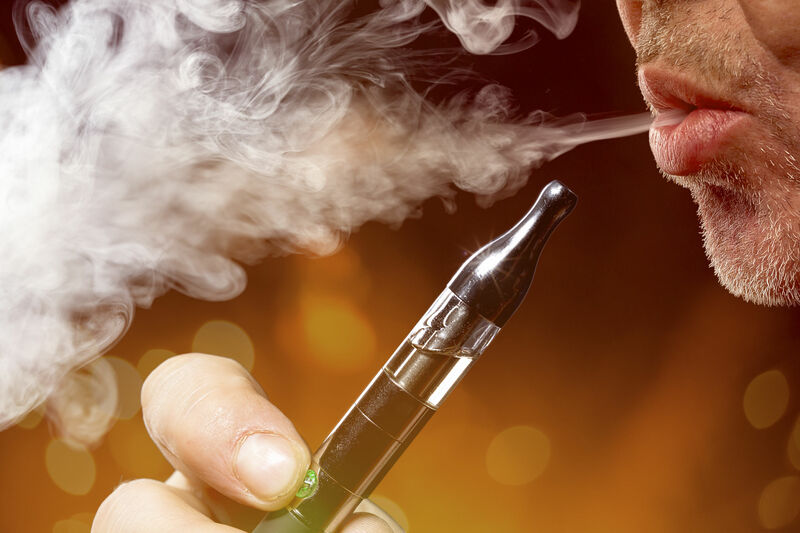 Some individuals who prefer vaporizers really cannot stand e-cigarettes, and vice versa. Since this is an intensely personal choice each individual will need to make for himself or herself, it’s important to begin by understanding the difference between these two things. You use your vape every day, so why not use it to wow your friends with some cool vaping tricks? It’s fun and with a little practice and these vapor tips, you’ll know how to do vape tricks and gain some cool points at social gatherings. Ready to become one of Khaleesi’s dragons? Of course, you are. Start off by taking a long pull from your e-cigarette without inhaling. When you have your mouth full of vapor, exhale through your nose with some force, while exhaling some of the vapor through the corners of your mouth at the same time. Also known as the Irish Waterfall, is one of the more difficult vaping tricks, which means if you can nail this, you’re basically a vape God. To perform this vape trick, take a decent sized pull from your e-cigarette, but make sure you don’t inhale. Let the vapor linger in your mouth and then slowly open your mouth and push out your bottom jaw – do NOT exhale. Just let the vapor naturally come out while you inhale through your nose. You’ve probably seen this common trick before, but it’s not as easy as it seems. However, once you get it down, don’t be surprised when your friends ask you to show them how to do it. Begin by taking a long pull from your e-cig and inhale the vapor into your throat. Make sure you keep your tongue flat at the bottom of your mouth, towards the back of your throat. Turn your lips into an “O” shape and stick your lips out. Then, push a small amount of vapor out of your mouth using your throat. You should feel as though you are kind of sighing or having a small cough. Need an easier vaping trick? This one’s for you. Take a long pull from your e-cig and let the vapor linger in your mouth for a couple of seconds. Push all the vapor from your mouth into a ball, then quickly re-inhale the ball you just created. This is a trick you can even get your non-vaping friends in on. While it can require a lot of practice, it’s a lot of fun. This one requires a toilet paper roll. The first method is to take a long pull from your e-cig and exhale through the toilet paper roll onto a flat surface. Use your hand to lightly chop downward, towards the surface. As soon as your hand touches the surface, flick your wrist up and lift your arm in one motion. These tricks can take a fair amount of practice, but they are well worth it when your friends become mesmerized by your tricks. Vaping tricks take a fair amount of practice but will be worth it when your friends become mesmerized by your vaping tricks. In order to ensure you are able to practice as much as possible, you’ll need to ensure you have enough e-liquid. We sell Vape Organics e-liquid, manufactured with only premium quality and USDA-certified organic ingredients. We chose to sell this brand after carefully reviewing their quality and credentials. We’ve found that they go above and beyond all other vape product companies. Tens of thousands of people are searching for organic e-liquids every year. Our purpose is to sell superior e-liquids using only the finest and purest organic ingredients to facilitate this. If you are searching for organic e-liquids or are curious what the difference organic e-liquids can make, shop around our store for all the organic products we offer.